Sydney is consistently ranked as one of the most liveable cities in the world. There is a wide variety of things you can see and do in Sydney - from enjoying the weather at the famous Bondi Beach, enjoying great local food and wines at various festivals and markets, to admiring the many world heritage listed sites located just an hour from Sydney. Local shops and malls generally operates from 9am to 5pm, Monday to Sunday; with extended trading hours on Thursday, from 9am to 9pm. 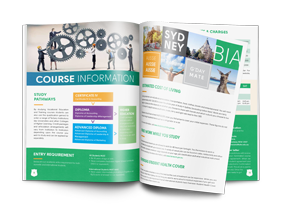 BIA is centrally located in the heart of Sydney shopping districts, restaurants and cafes. Our campus is only a short walk from Central Station where students can catch the train, bus, and light rail to get to/from college. If you are hurt in an accident or need urgent medical attention in an emergency, you should call 000 and/or go straight to the Emergency Department of a hospital. As an international student studying in Australia, you are required to hold a valid Overseas Student Health Cover (OSHC) policy for the entire duration of your studies. OSHC is a form of insurance which assists international students meet the costs of medical and hospital care that they may need while in Australia. OSHC will also pay limited benefits for pharmaceuticals and ambulance services. Fore more information about what is covered in your OSHC, please contact your OSHC provider or visit the Department of Health website.